In Lindby in Sweden a famous statue of Odin was found, a photo (that I took from Arild Hauge) shows it. As you can see the statue misses an arm. Replicas usually look like the one you can see on the right. I have this particular one myself, it is from Sacred Source. Both his hands in his sides, did you ever wonder why? We often take things for granted too easily, also the (neo)pagans among us. Personally I can’t imagine that the image just happens to be as it is and there are some things that may confirm this idea. Let me take you on a short journey through Gemanic symbolism. The Germanic year was divided in two parts: summer and winter. Symbolically this can be given very well as a split circle, the circle is the year and it is split into two halves. A circle split in four can refer to the four seasons. It may be very well possible that this is the reasons that wheels and stars play an important part in Germanic symbolism. But the wheel is not the subject here, I was talking about the year. There were various ways of symbolically showing the year, a few examples for you on the right. Poor quality, I know, but it is just to give you an idea. These symbols are taken from rune calendars and rock-carvings from Sweden to Italy. The third row are forms of the “gear” rune, which very names means “year”. The idea is clear, a symbol with two halfs for each half of the year. 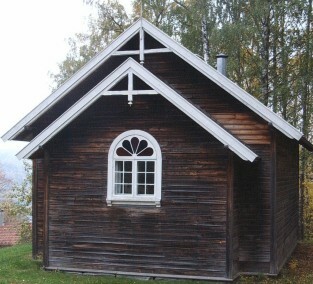 This old symbolism lives on in several ways, rooftops for example (see my Maihaugen museum photo (Lillehammer, Norway), below). If you look well, similar rooftops can be found in a lot of places, my “Old symbolism in a modern city” article (“division of the year”) has two photos of a simpler form in Eindhoven. Such rooftops can become more complex, just think about the famous Frisian “uleborden” (below middle). The symbolism of the “uleborden” is more complex and not within the scope of this article, but a version that you can see more often is point above the rooftop with bows where here are swans. I am not talking about rooftops either. These rooftops have a symbolism but they are kept very abstract, like the symbols that I showed before. 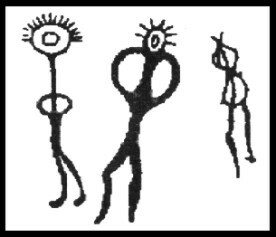 In the way I have given some of these symbols representing a year, I can also give man-like figures that are said to have the same symbolism. Something like a sun (head) on the top (solstice) and a year below. That, with the famous “year god of Bremen”, is it strange that I am reminded of my little statue of Odin? Odin is often referred to as the “allfather”, so the complete year is not a very strange thing to attribute to him. Maybe the symbolism of the two arms goes deeper than this, but I am just giving some thoughs here. Think about things, combine, look further, study. Everything is connected and symbolism is an extremely interesting subject. The things that I touched upon here are written about by several writers, some you may know from my earlier mentioned article “Old symbolism in a modern city”. Just a few titles that I have read more or less recently, all in Dutch or German though and not always easy to get either, but here have at least have a starter. In the ancient language, God as a proper name was never used; Old Teutonic gudo is neuter and means to invoke, or to offer sacrifice, thus an object of worship. The Edda recounts little of god, it speaks in more mysterious words and reserves for the highest conception the term tiva ~ as the Sanskrit dayaus: the transcendent light and the inward love. 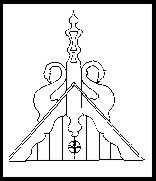 It is that which the Skalds “dare not name”, That which has no name: the unknowing darkness of the closed eye becoming (the proto-teutonic) Teiwaz, the first manifestation of light. Early studies expressed the idea of Woden dethroning Teiwaz. Although now discredited, the theory showed the Teiwaz concept with Woden as avatar replaced by Woden as god in the likeness of man. Avatar is a manifestation in human form; in Vedic mythology, the descent of a deity to the earth in carnate form. Blavatsky wrote of the “Records of the Thirty-five Buddhas of Confession” that relate of the great Mahatmas who “may just as well be called Rishis, or Avatars, etc; . . . they are historical sages ~ at any rate, for all . . . who believe in such a hierarchy of Sages, the existence of which has been proved to them by the learned ones of the Fraternity. Odin, or the god Woden, . . . is one of these thirty-five Buddhas; one of the earliest, indeed, for the continent to which he and his race belonged, is also one of the earliest. So early, in truth, that in the days when tropical nature was to be found, where now lie eternal unthawing snows, one could cross almost by dry land from Norway via Iceland and Greenland, to the lands that at present surround Hudson’s Bay.” As in the Vedic tradition, the true knowledge became concealed by the ErilaR initiates. The solar mythology that was postulated in the early studies arises from the Teiwaz concept of the shining inner light. But this dethroning is a legitimate part of the tradition and only misleads those ignorant of the more lofty concept. The essence of the Teutonic world view does not lie in the concept of Woden as god, for the idea of such a god is not compatible with the ideals of a personal religion and personal liberty. The Volva called Woden “foremost among bonded”, bound ~ as are we all ~ to the sphere of the manifested universe. He represents male energy as Freija and the Volva do female. Coming forth from man’s testes is a bodily imperative to lust, to seed, to thrust, to impose, to rule. Freija’s Volva is woman; Woden’s priestly Son of the Prime Generation is man. “In the hymns of the Aryans assigned to about 2,000 B.C. there are indications of a formulation of doctrines which have come to be considered Sufic in the sense of the carrying out of certain practices of sublimation and development,” Idries Shah wrote. The Sufi illuminate, he maintained, is “the herdsman” who possesses a “certitude” the essence and expression of which “is the ‘retrieving of the very marrow, the shepherding of others, the exercising of the commanding authority and endowment usually invested in what is called a priest in mechanical religion.’ . . . This, to the Sufi, is the meaning of a priest ~ that he should have arrived at some sort of certitude that places him in contact with the greater dimension, not that he should be mechanically created by order or study. A priest is the result of a development. No such priest exists in familiar religion.” According to traditional conceptions, the function of a master is not limited to the teaching of doctrines, but implies an actual incarnation of knowledge, thanks to which he can awaken other men, and help them in their search simply by his presence. He is there to create conditions for an experience through which knowledge can be lived as fully as possible. In such a sense is Woden the highest of the aesir’s priests and masters. The statue of Odin with one arm missing reminds me of a ‘wishbone’ from poultry, do you do the wishbone in Europe? One person holds each side of the breastbone, or the Odin statue, and they pull, and whoever gets the larger piece gets a wish, or receives good luck. Just a random thought of mine.